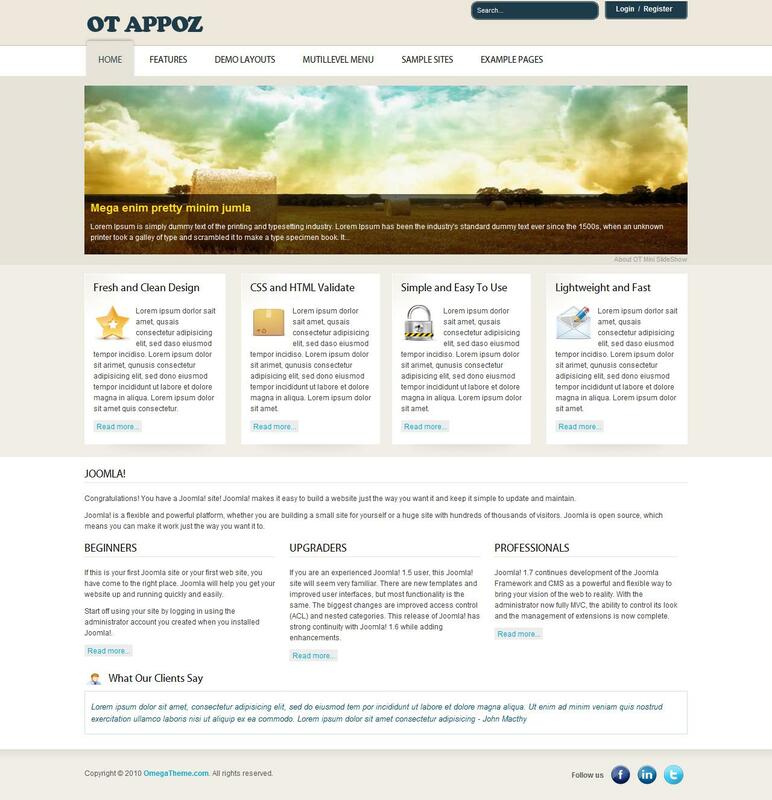 OT Appoz - functional and versatile template from the studio OmegaTheme. The template is perfect for creating a business, corporate, portfolio, and other social websites. Has adaptation module for social networks, multi menus and excellent slider image rotator. Runs on the Solid Framework, contains 10 module positions, optimized code and is fully compatible with all browsers and versions of Joomla 1.5 - 1.7.